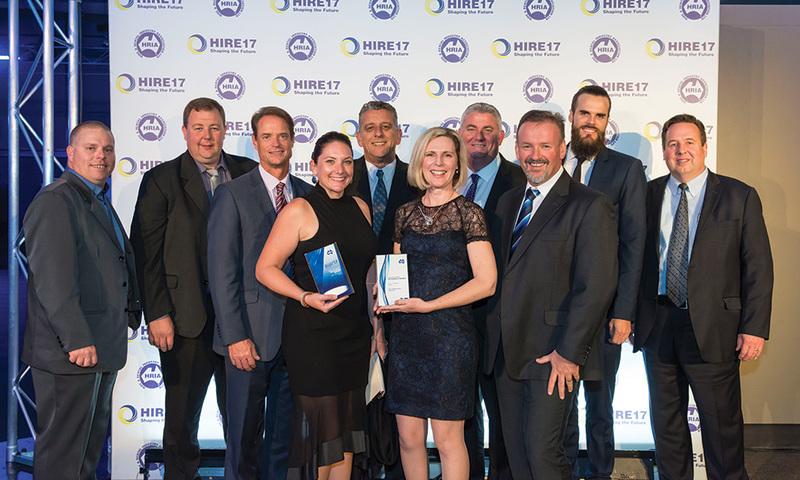 The innovative Genie Z-60/37 FE hybrid boom lift was awarded “Best New Product – Access” at the Hire Industry Excellence Awards at the recent HIRE17 Conference in Sydney. The Genie Z-60/37 FE model proved very popular with visitors to the company’s stand at HIRE17, with many orders taken at the show. “The Genie Z-60/37 FE boom will help our customers achieve what the latest innovations deliver, and it was an absolute thrill to accept this award on behalf of the team at Genie who have developed the new technology for the hybrid boom,” said Lawrence. “Businesses who have used the Genie Z-60/37 FE boom lift since its global launch in April 2016 have reported significant cost savings and a marked reduction in their carbon footprint, while getting increased performance and versatility from their aerial work platforms,” he added. Suitable for indoor and outdoor use, the Genie Z-60/37 FE boom lift combines advanced diesel power and four-wheel-drive performance with the energy efficiency and quieter operation of compact, low-weight electric-powered booms. It can travel 25 percent faster than other typical diesel-powered units. In full-electric mode, it offers a whole day of emission-free performance on a single charge, and in hybrid mode it runs for more than a week on a single tank of diesel. “The Genie Z-60/37 FE boom lift is a revolutionary approach to our mid-size Z-boom family, and it adapts to our customers’ increasing needs for high performance, high efficiency and low emissions,” said Mitch Ely, Director of Customer Satisfaction and Reconditioning, Terex AWP. Ely presented a well-received toolbox talk at HIRE17 promoting the new hybrid technology developed for the Genie Z-60/37 FE boom lift. “On long-term jobs, even when on-site power is not available, this machine is versatile enough to handle tasks ranging from work on rough and unprepared ground to indoor applications where it’s important to keep noise and emissions to a minimum,” said Ely. “It is just the kind of machine to be the first on the jobsite and the last off – exactly what rental customers are looking for to improve their profitability,” added Ely.